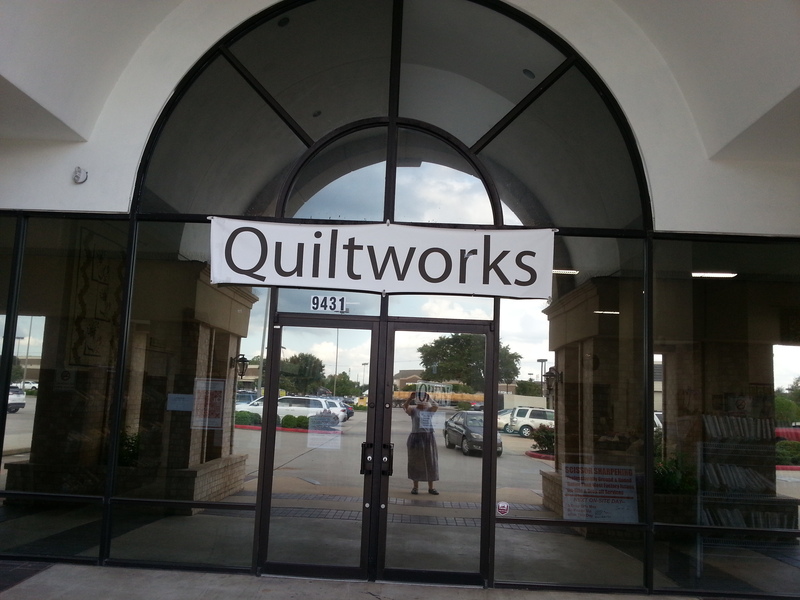 When I taught at the West Houston Quilt Guild in September, my class was held at a large quilt shop, Quilt Works located at 9431 Jones Road and West Road in West Houston. 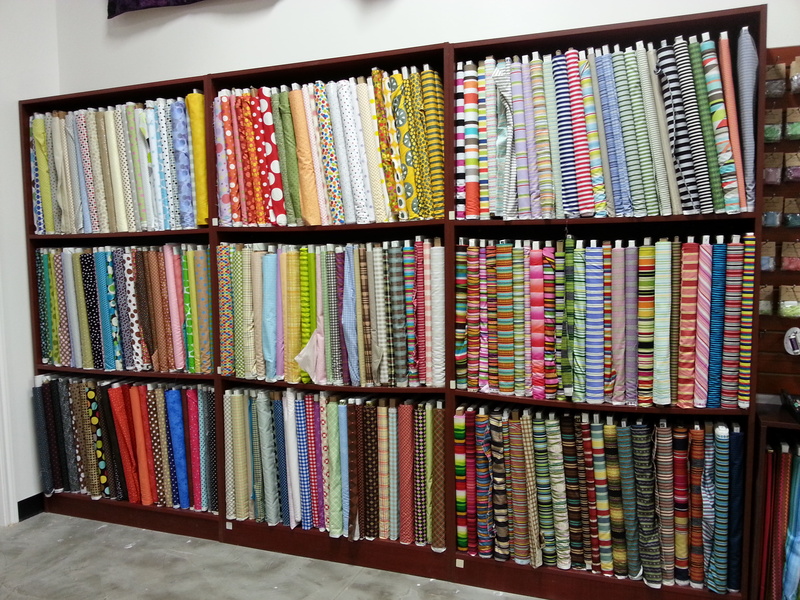 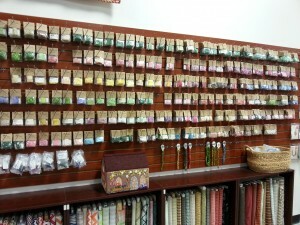 In this store you can choose from over 4,000 bolts of fabric. They sell Pfaff sewing and embroidery machines and a huge selection of thread for both machine and hand embroidery. 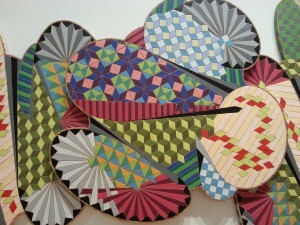 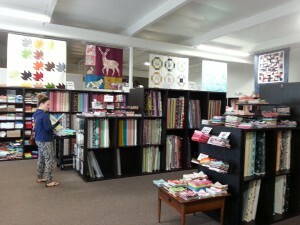 The space is large and well lit and there are beautiful class samples adorning the walls. 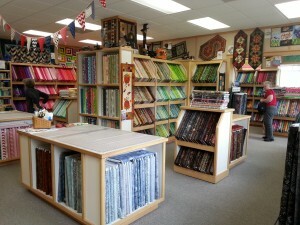 They also have a large section of Accu-quilt cutting tools. 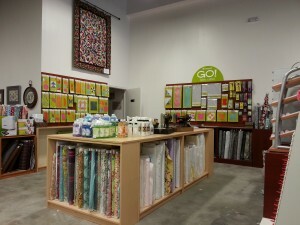 Here’s the visual tour. 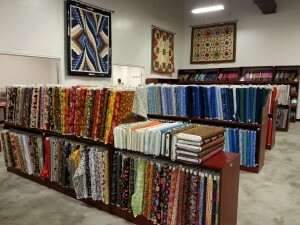 With this amazing selection of quilting supplies, I know that this is a store that I would frequent if I lived in the Houston area. 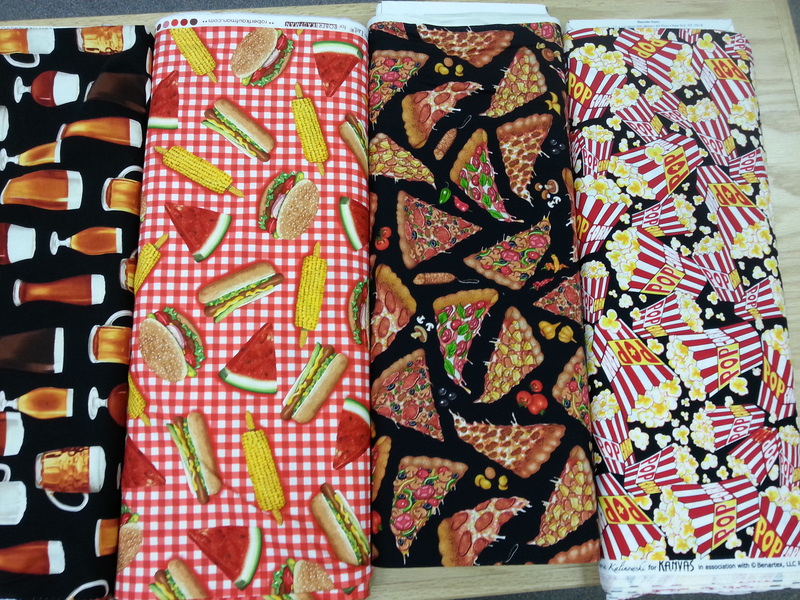 I’m always learning from my students and enjoy the new gadgets they bring to class. 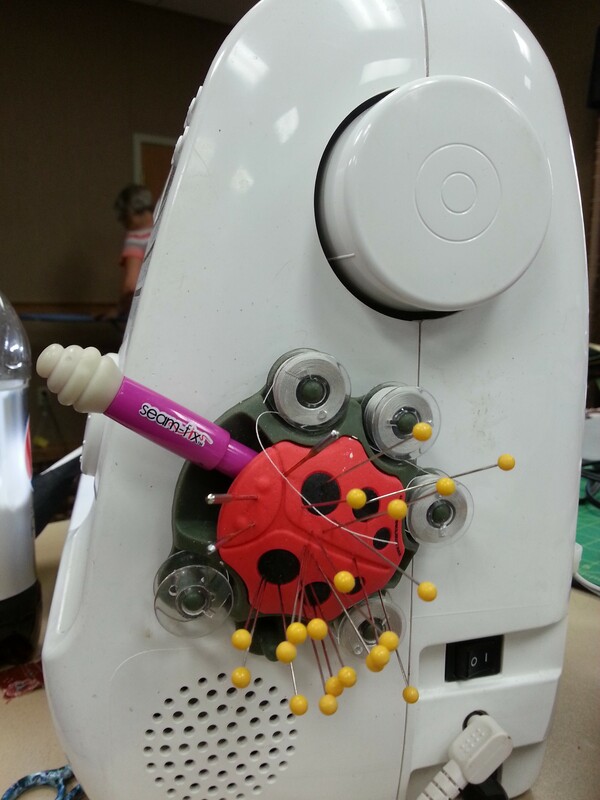 I love this ladybug pin cushion and bobbin holder which includes a pouch at the head for scissors or seam rippers. 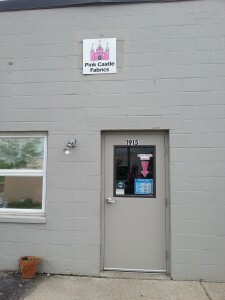 It is attached to the sewing machine by a suction cup. 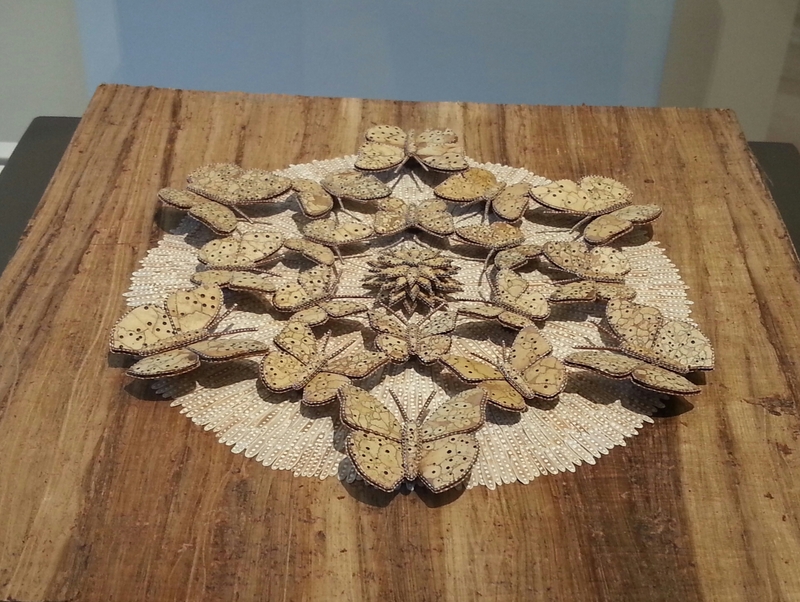 These ladybugs are made by Smartneedle. I looked at the reviews on Amazon and they are mixed. 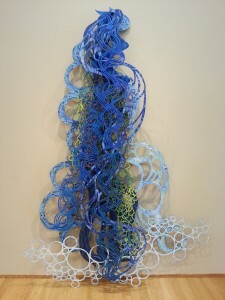 Everyone loves the ladybug and many gave the product rave reviews, but some people have had problems with the suction cup not adhering properly. 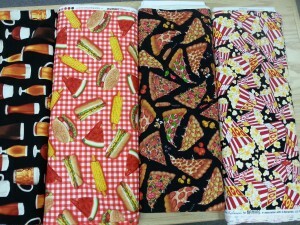 One lady bought two and one worked but the other didn’t. She was able to get the suction cup part replaced. 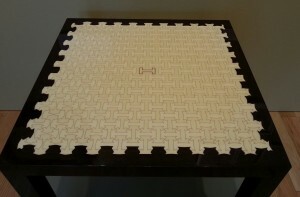 It is possible that some of the suction cups may be defective or perhaps they just don’t work well on certain types of surfaces. Apparently the black spots are the easiest areas in which to put pins and the red rubber is a little tougher. 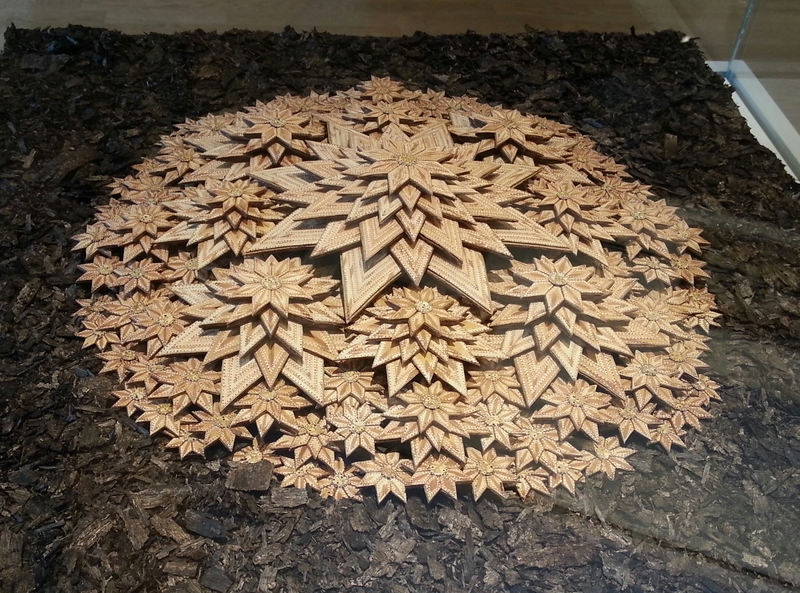 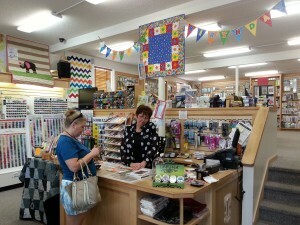 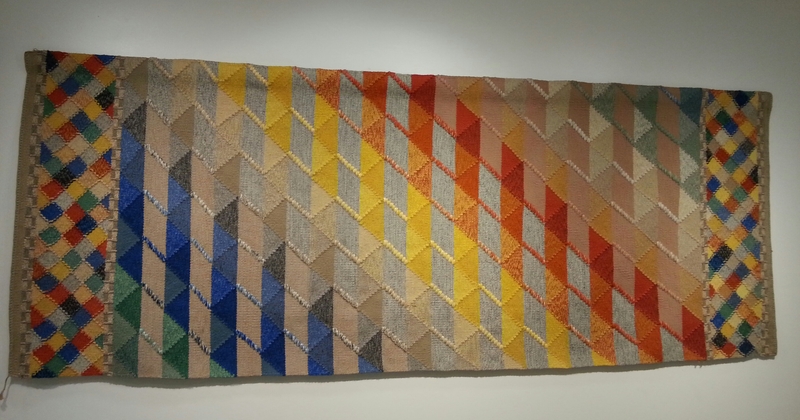 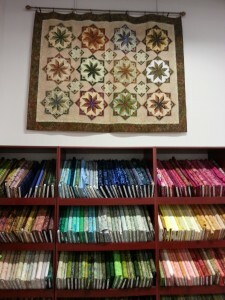 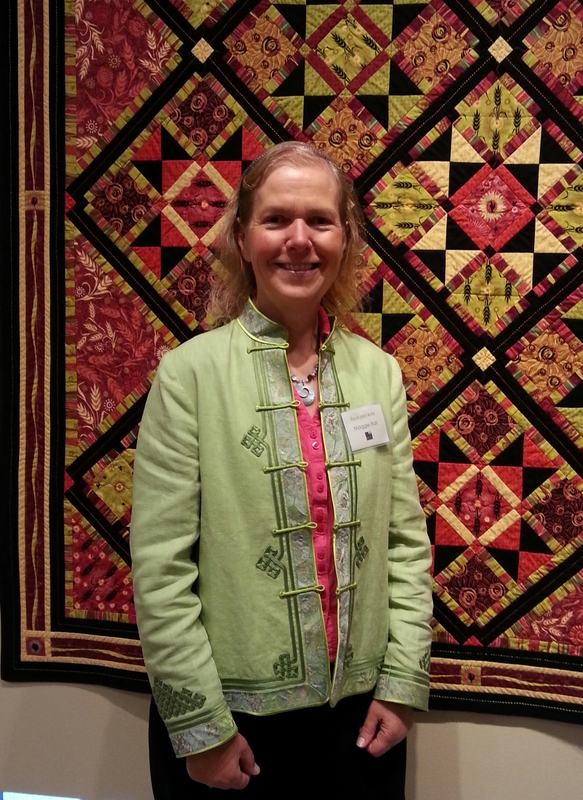 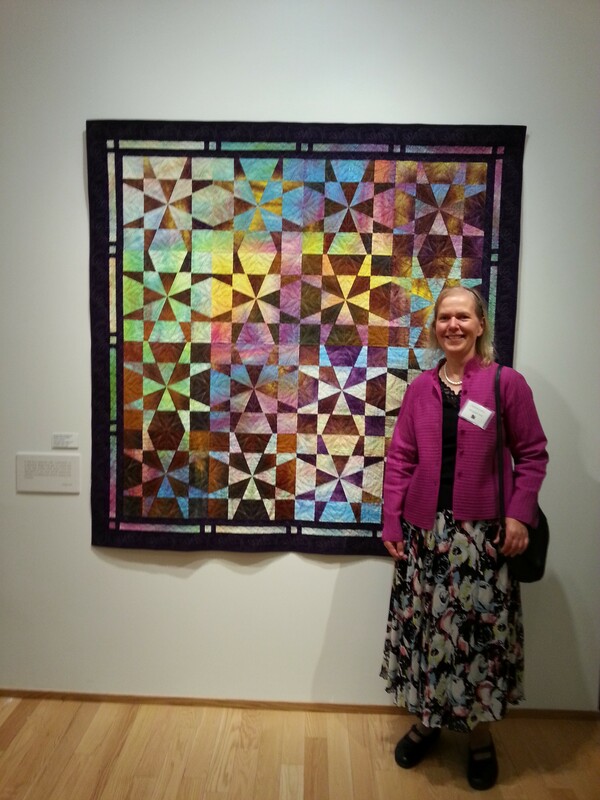 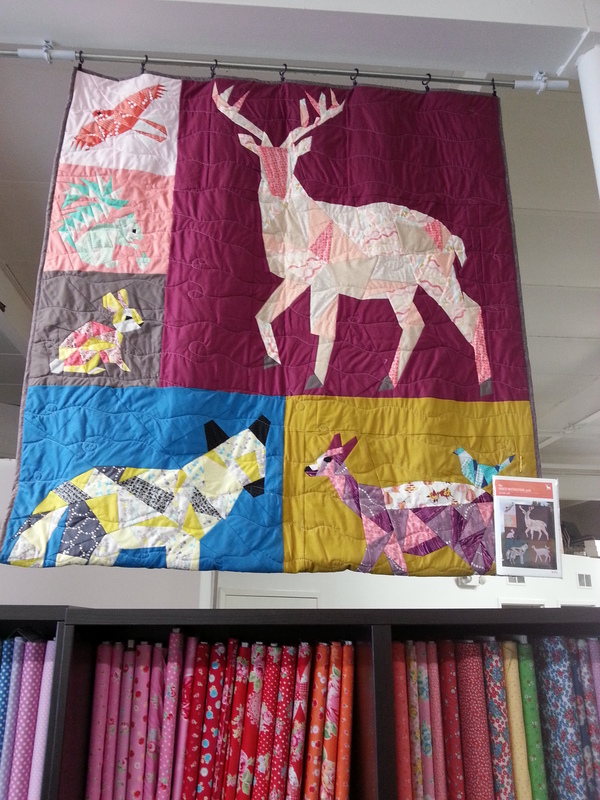 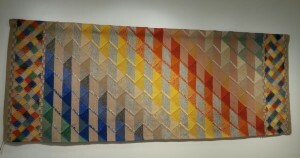 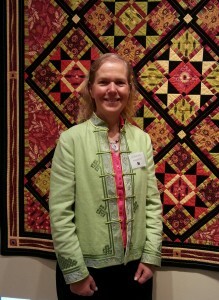 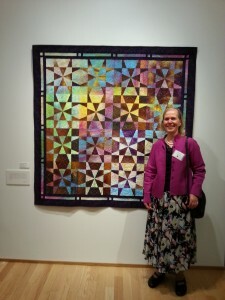 During my teaching trip to Michigan in May, I visited a couple of quilt stores in the Ann Arbor area. 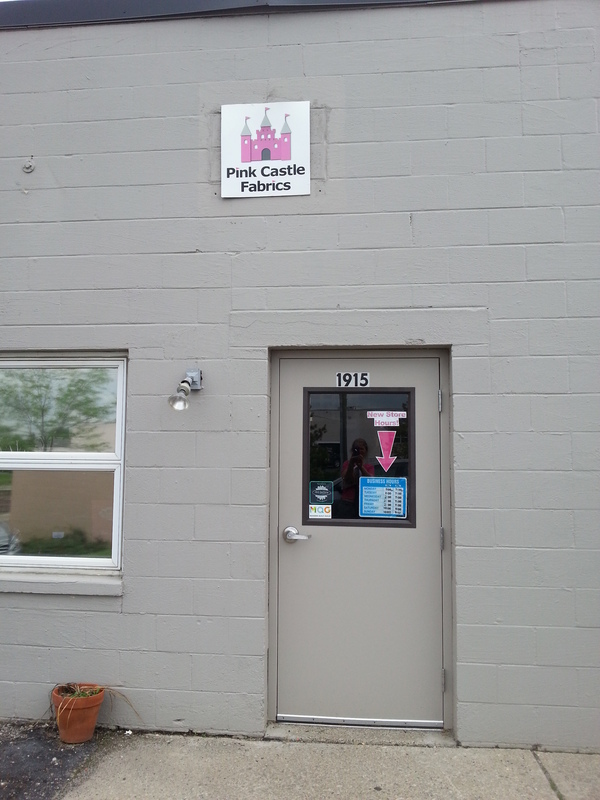 Pink Castle Fabrics does much of its business on-line but has a brick and mortar store at 1915 Federal Boulevard, Ann Arbor. The outside of the building looks rather industrial, but the light and airy room is decorated with quilts and there are plenty of fabrics on the shelves. 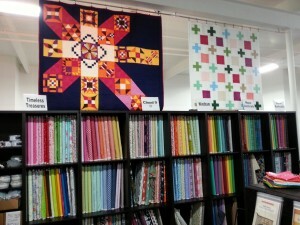 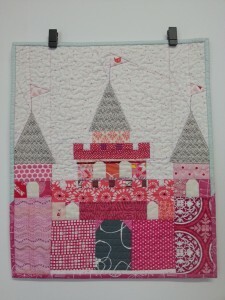 The store has a modern quilts flavor with bold designs and solid colors. 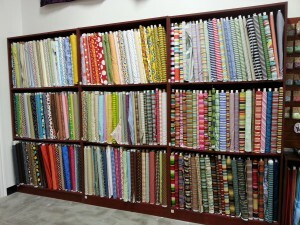 They stock over 250 different colors of solids, the latest designs from modern designers and imported fabrics from Japan. 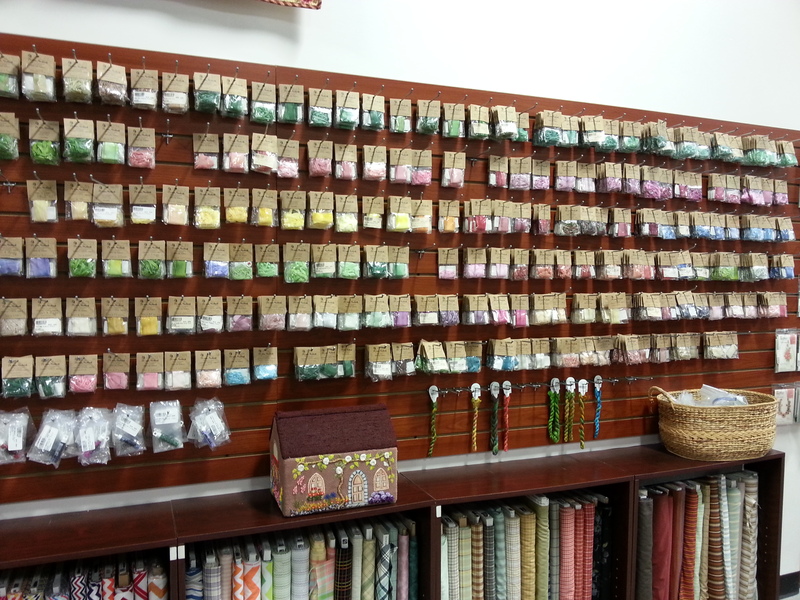 In addition to quilting fabrics, they have linen blends, lawn, voile and knits. 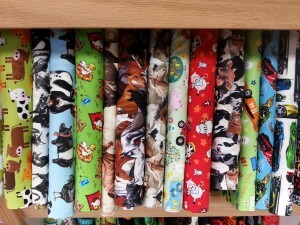 There are also plenty of notions. 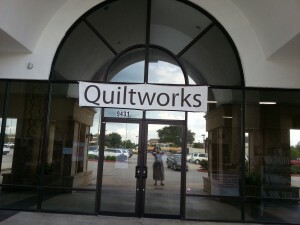 Stop by if you are in the area. Here’s a pictorial tour. 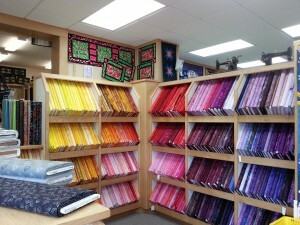 During my teaching trip to Michigan in May, I visited a couple of quilt stores in the Ann Arbor area. 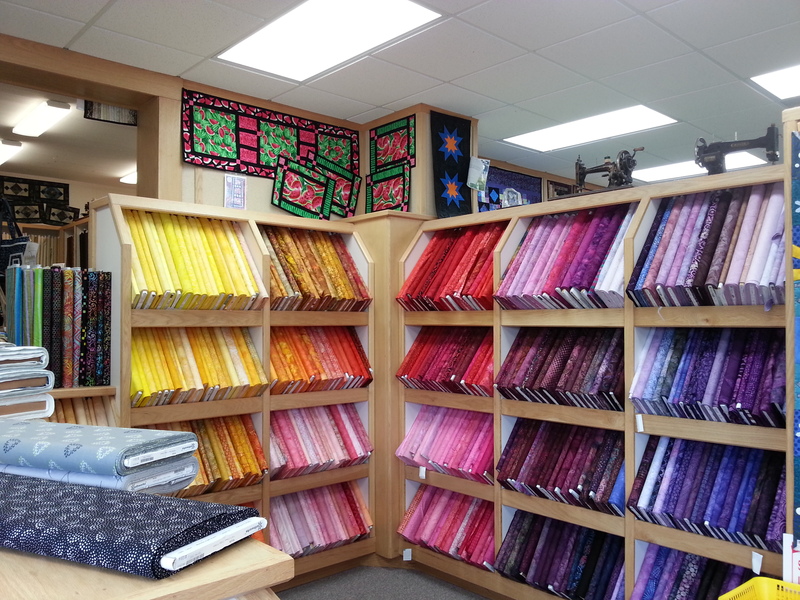 The Ann Arbor Sewing Center located at 5235 Jackson Avenue in Ann Arbor is the biggest store, (quite possibly in the state), boasting over 7,000 bolts of fabrics. 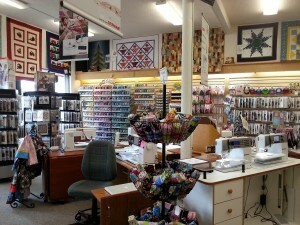 If you are in area and only have time for one quilting store, this is it! 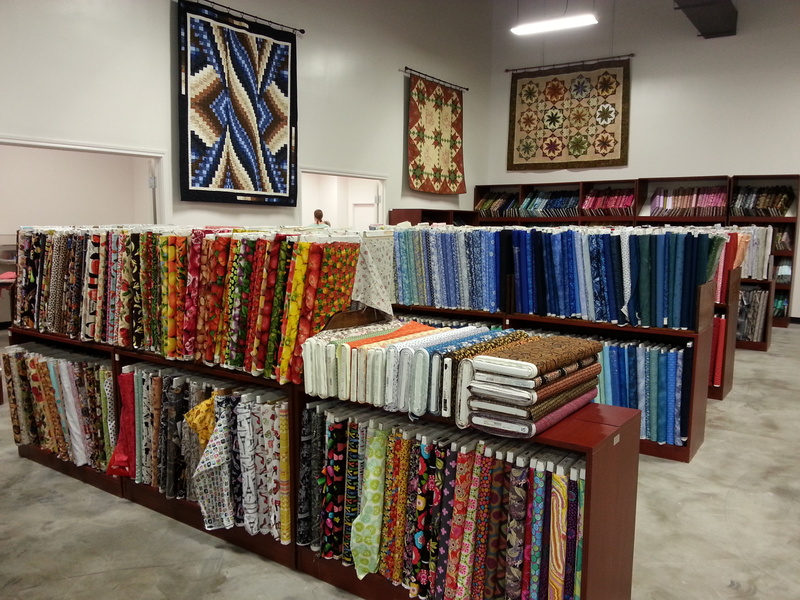 They are are family owned and operated, running the business since 1968. 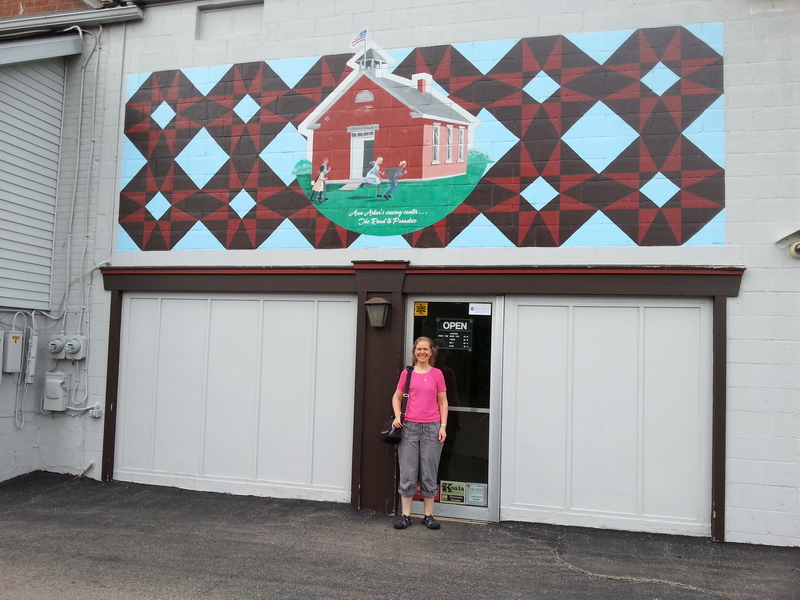 The mural is painted above the lower entrance to the store around the back of the building where there is additional parking. 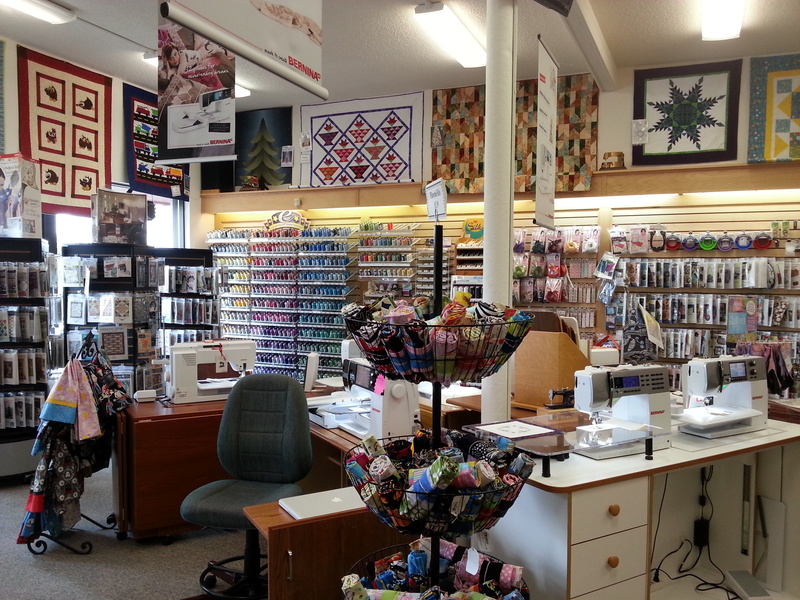 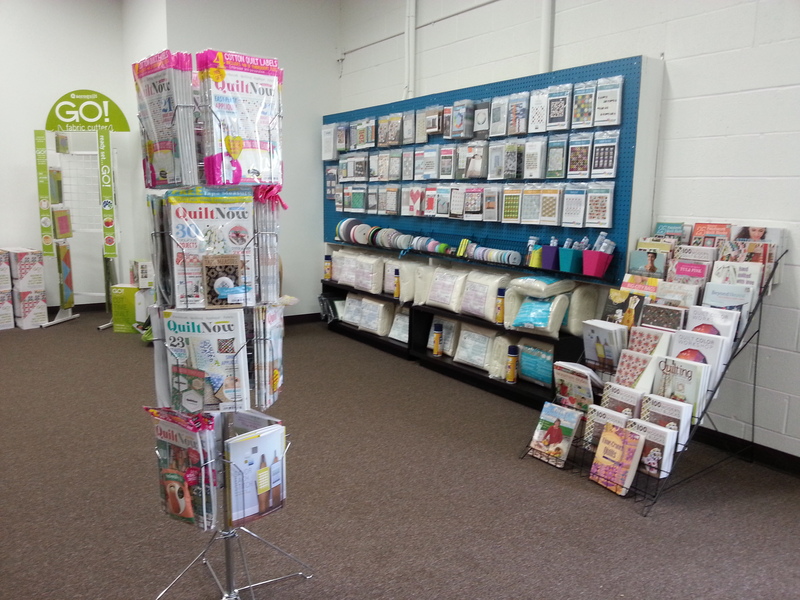 The entrance is welcoming and the store is extremely well stocked with notions, embroidery supplies, patterns and quilting books. They sell and service Bernina, Pfaff, Viking and Singer sewing machines and also carry Horn and Koala sewing cabinets and furniture. 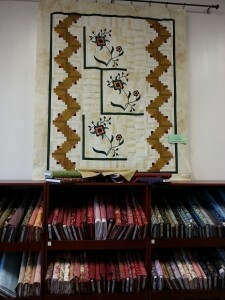 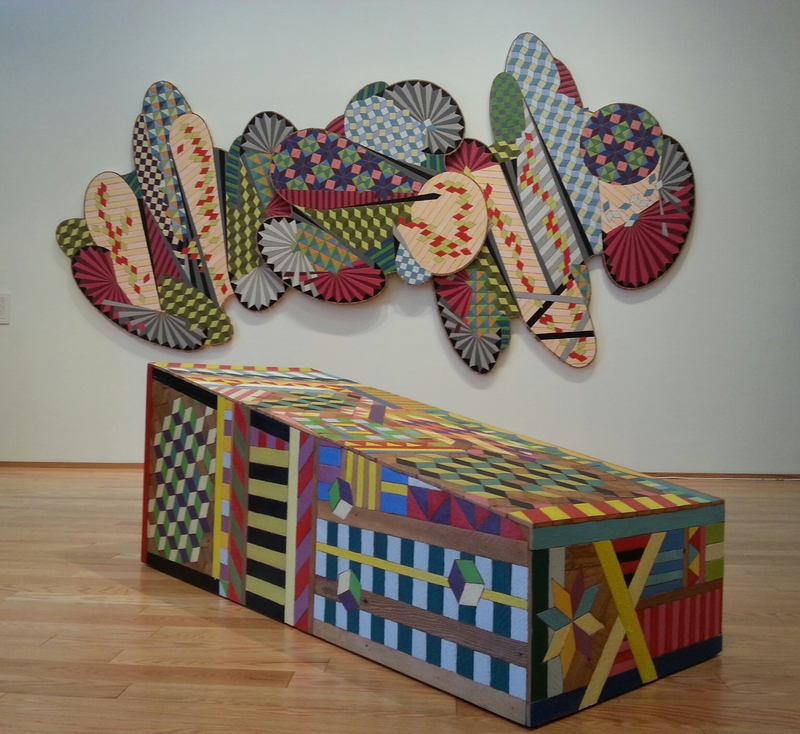 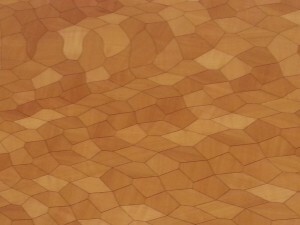 They are well known for their wide selection of batiks and have a large area of the store devoted to this collection. 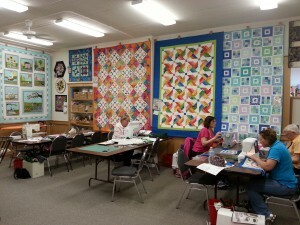 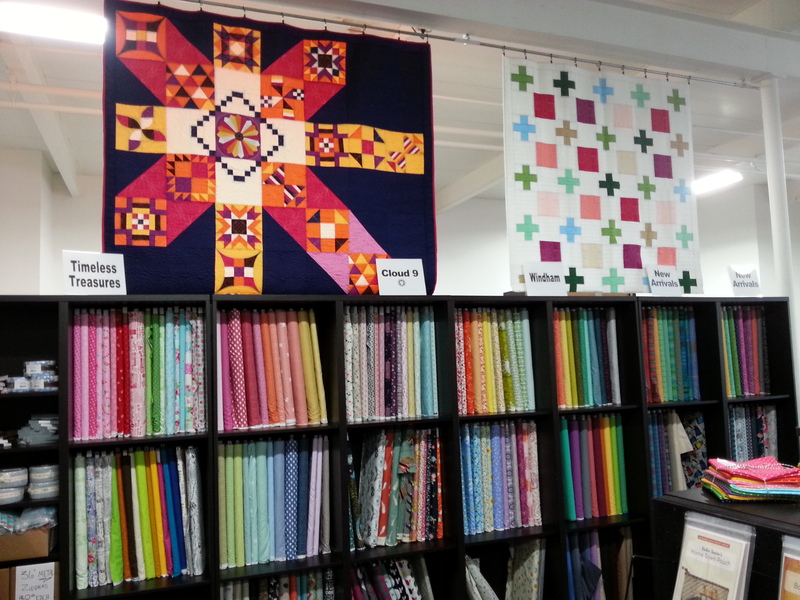 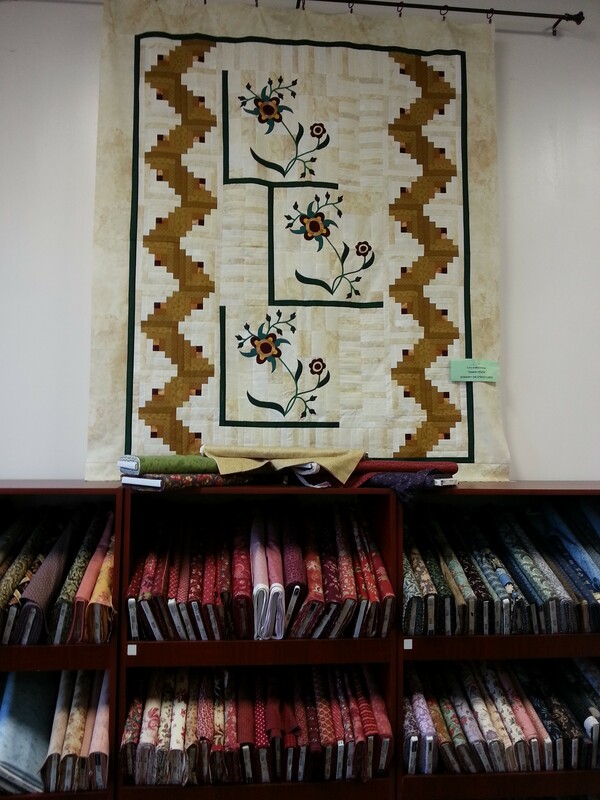 There’s a spacious area for classes with plenty of inspiring quilts decorating the walls. 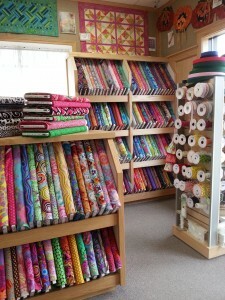 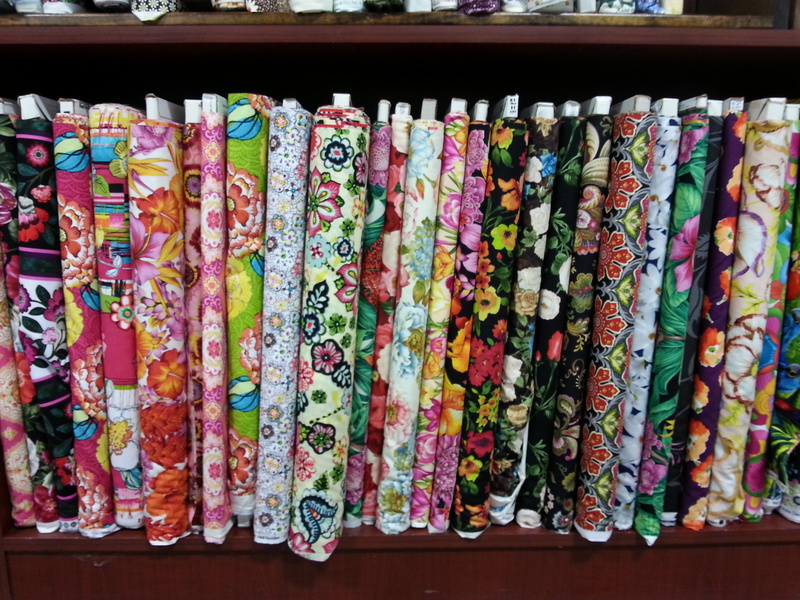 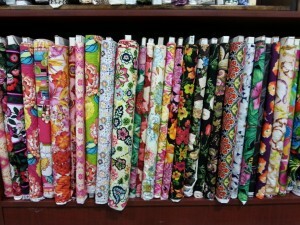 Another section of the store is devoted to Kaffe Fassett fabrics. 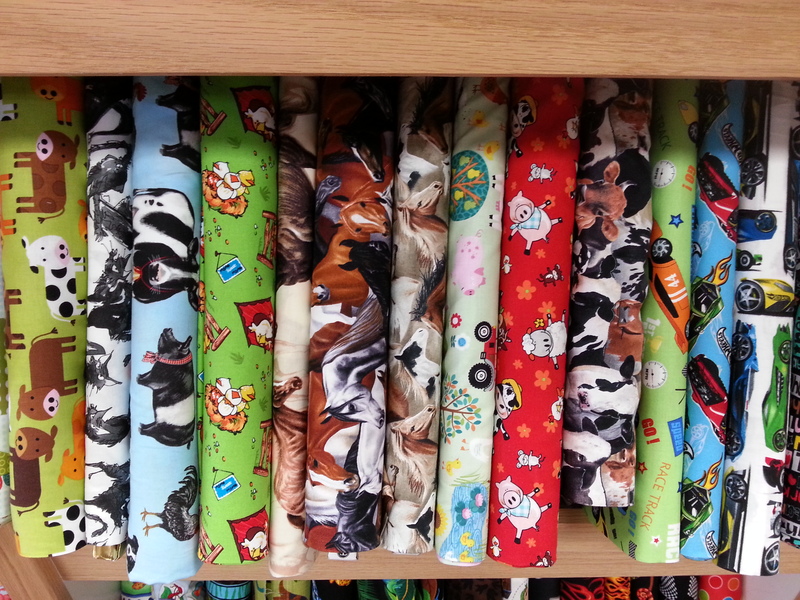 Then there are the novelty prints which are always fun!